How is BIG DATA described in your experience with ‘searching’ for answers on how to protect ourselves from the ‘Big Brother‘ invasion into our lives? Below are two definitions of big data, which I found on the Internet. As you may notice, the spelling is not the same. These are some examples of how BIG DATA is gathered: Facebook, Fitbit, Twitter, SmartPhone, purchasing on-line. Are you getting the picture? Big data is definitely here to stay. Is it a bad thing? According to data expert, Bernard Marr, big data enhances our lives in many ways, businesses can serve their customers better, the healthcare industry can find new cures for diseases, it is used by NSA (National Security Agency) to protect us from terror attacks, and it protects us from cyber attacks. 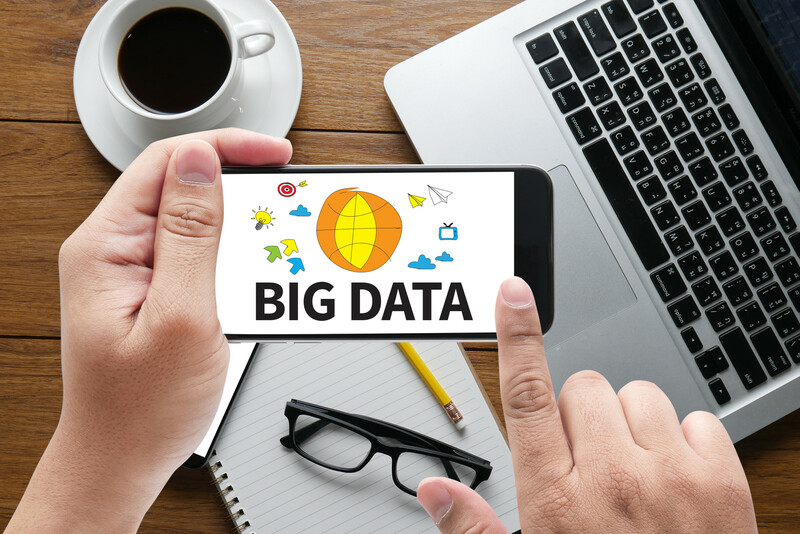 The list is impressive on the benefits of big data. Even with all the ‘benefits’ big data provides us as a society, there are those who would prefer not to be ‘watched’ by big data every time they search the Internet. Below are a few steps you can take to have some ‘privacy’ when using the Internet for shopping. 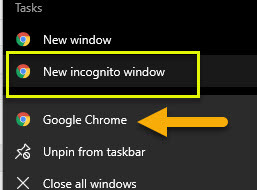 For example, both Windows and Google Chrome give you an option for private browsing. 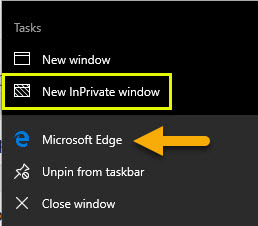 You can click the icon with your right mouse button on your task bar to make the selection. You can also click the AdChoices Icon to learn why you are seeing the Ad. Finally, I encourage you to visit Network Advertising Initiative (NAI) to understand more about online advertising benefits, for example keeping websites free, and to learn about the new tools available for your online preferences.